Best Tally & �e� Accounts Academy in Delhi/ NCR Best Tally Authorised Services Center In Delhi/NCR An ISO 9001 : 2000 Compliant organization. and smoothly. We are satisfied with Glowips. Owner of GlowIPS we are smoothly work & we are happy. Company - HIM Furnitech Engineering Pvt. Ltd.
Technology (P) Ltd. work. Thanks Mr. G K Sharma owner of Glowips. good solutions are the pillars of Glowips Technologies. in auto payroll auto updated tools. & customize society billing solutions. maintaining our accounts in one site. Glow Institute of Professional Studies Known as ( Glow IPS) is an Authorised Govt. Academy,Customization and Authorised Tally Sales, Service Partner ,Glowips is also 9001 :2000 Compliant Institute. Glowips is proud to present ourselves as a part of Tally Solution Pvt. Ltd. The Company is managing its Works by the channel of large Network. Mr. G K Sharma is owner of Glow Institute of Professional Studies known as Glow Ips, Since 2003 Mr. Sharma linked with tally company & Providing his satisfactory services to Corporates & Education sectors. we are continuously working for the growth of our organization with a strong team of product specialists which is providing a back up to the organization attend any Direct & Indirect Customer queries through Online & Offline tools and providing the best-in-class support that assist all in running their business non-stop. At GLOWIPS we follow a well-defined methodology that enables customers to exploit the benefits of Tally quickly, and in most cost-effective manner possible. The secret of GLOWIPS success lies in its flexibility, responsiveness to customers, encouragement and reward to employees and well satisfied business partners. GLOWIPS has an excellent track record in IT consultancy and services, serving customers in varied sectors such as Manufacturing, Bulk Drugs & Chemicals, Engineering, Packaging, Pharmaceuticals, Distribution, Trading & Government. With our specialization over the Tally Definition Language, we have created a handy list of customized Tally software. These business solutions are ready to use. 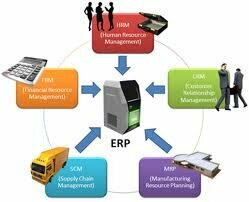 Manufacturing Suite by GLOWIPS : Dedicated Suite Applicable for all Manufacturing Org. Corporate Management in all business and organizational activities is the act of getting people together to accomplish desired goals and objectives using available resources efficiently and effectively. Corporate Management comprises planning, organizing, staffing, leading or directing, and controlling an organization (a group of one or more people or entities) or effort for the purpose of accomplishing a goal. According to our Global Management Consultants - Management consulting indicates both the industry and practice of helping organizations improve their performance primarily through the analysis of existing organizational problems and development of plans for improvement. 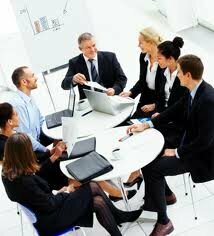 : To focus as much on planning as on the implementation. 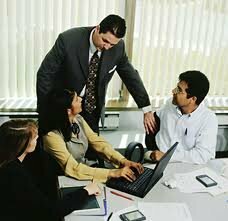 : To give 100% dedication to the success of our customers and their growth. Our Organization GLOWIPS is registered under (Patents Act, 1970, the Designs Act, 2000 and the Trade and Merchandise Marks Act, 1958) . We offer Franchise services in Delhi � NCR � India � Africa � Europe , for our ERP products , Tally Services and Business Developing Services . Our Team members have affirming presence in various countries and can reach any remote destination to impart necessary training and schedule a Event based on the required condition. A good track record of profitability. Detailed systems, processes and procedures. Around a unique or unusual concept. 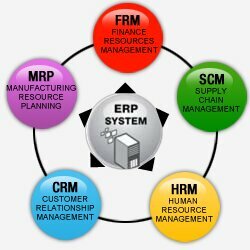 Enterprise resource planning (ERP) systems integrate internal and external management information across an entire organization, embracing finance/accounting, manufacturing, sales and service, customer relationship management, etc. � Copyright 2012 Glow IPS All Rights Reserved. Site design by VMS Pvt. Ltd.